Hello Darlings, For fall, I really want a purse with a bow— but the girly girl in me had to restrain herself from buying the patent leather Little Kennedy that I previously mentioned. Since I am a bit concerned that patent leather can crack in freezing temperatures, which sadly happens on occasion in a Canadian winter. Well, there is an upside to self-control as after some online shopping I found yet another Kate Spade charmer - this beautiful beige Kate Spade Villabella Avenue purse! 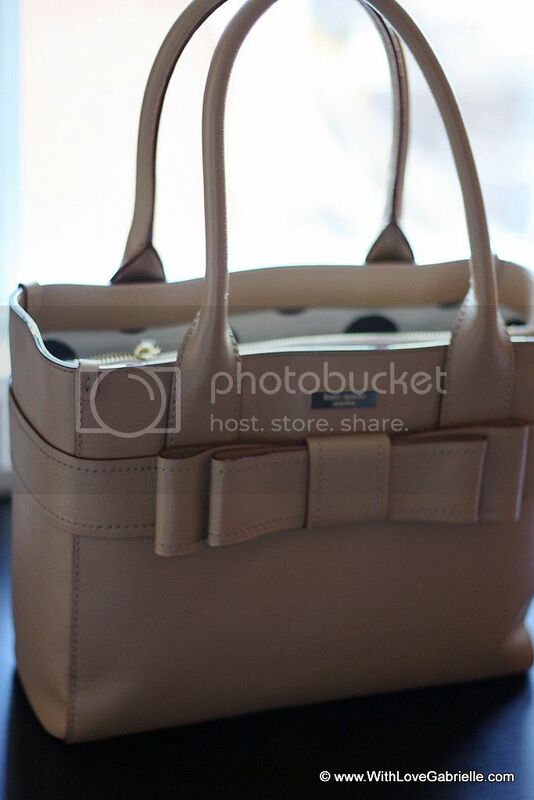 And to my great surprise this is the most blogger friendly purse that I've ever found. In an ideal world, my blogger-kit would include my DSLR camera with an extra lens, my laptop and a traditional planner when out and about during the day. Now try being fabulous lugging around all this heavy equipment in a purse! 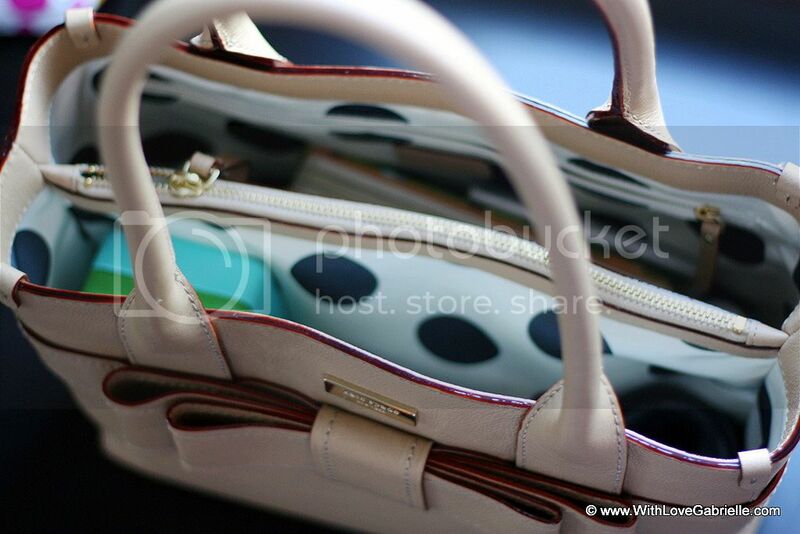 Most women will know that outside a traditional tote or a backpack, finding a large feminine purse is challenge. Well, finally I have found my happy medium with this purse that comfortably fits my daily essentials, and best of all is not too large and looks very neat and structured. What do you think of my purchase? Did you prefer Little Kennedy?